Skin cancer is the most common form of cancer in the United States. More than 500,000 new cases of skin cancer are reported each year. Considering that sun exposure is a leading cause of skin cancer, it comes to no surprise that most skin cancer (around 80%) is found on the face, head and neck, or the areas that are most often exposed to UV rays. While the skin cancer itself may not be disfiguring or highly noticeable, many patients fear the results of Mohs surgery, which is the most proven surgical treatment to remove a cancerous legion. 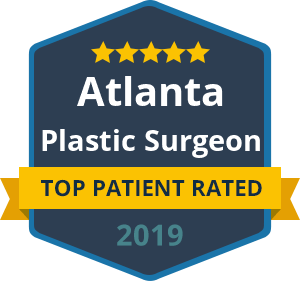 What patients need to know is that a skilled plastic surgeon can and should be part of your skin cancer treatment plan, as they have the knowledge and expertise to carefully rebuild your skin tissues after Mohs surgery, also known as Mohs reconstruction. The decision to neglect skin cancer treatment altogether can be deadly. According to SkinCancer.org, Mohs surgery has a 99% cure rate for skin cancer that has not been treated previously. It involves a unique and highly effective procedure is done in stages, all in one visit, while the patient waits between each stage. After removing a layer of tissue, the surgeon examines it under a microscope in an on-site lab. If any cancer cells remain, the surgeon knows the exact area where they are and removes another layer of tissue from that precise location, while sparing as much healthy tissue as possible. The doctor repeats this process until no cancer cells remain. While Mohs surgery can be lifesaving, it is common for the procedure to leave unwanted cosmetic results, especially when performed on the delicate and visible tissues of the face. 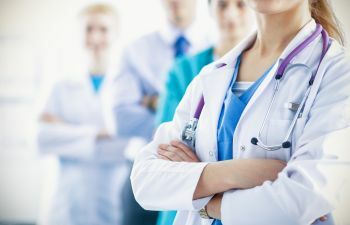 Depending on the location and severity of the facial skin cancer, patients may be left with a small unsightly scar, a gaping wound or a horrific facial deficit. In any case, a skilled Mohs reconstructive surgeon can help. Dr. Ben Talei uses advanced reconstructive techniques, ranging from a simple scar revision to the complex transfer of tissue flaps from other parts of the body. We work with the patient to map out treatment goals before the reconstruction, which may include rebuilding the face back to its original condition or improving the appearance of a certain facial feature as we repair the tissue. Some patients may require more than one procedure to reach their Mohs reconstruction goals. To learn more about skin cancer and Mohs reconstruction from a nationally recognized plastic surgeon, please call our office today. We never want the result of Mohs surgery to scare people away from getting skin cancer removed. At our Beverly Hills office, patients attain remarkable results, allowing them to put their skin cancer behind them without any visible reminders of Mohs surgery. « Is a Liquid Facelift Right For You?